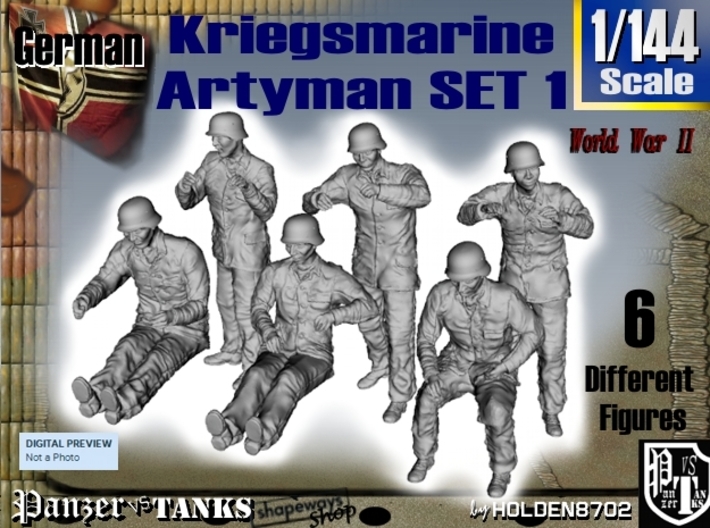 1/144 High Detailed SIX Figures Crew Set for German Artillery Guns of World War II. 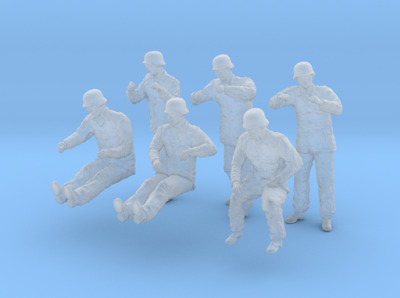 Figures wear fatigue frocks in Kriegsmarine cloth or leather type, long trousers, low boots and M35 Helmets. This set is right to use on Kriegsmarine Naval Units but also for Coastal Artillery Defense Bunkers or on Armored Trains Units.